I have been having a little fun with hundreds chart activities lately. I thought I'd add some charts just in case you might be able to use them, too. :) Just click on the picture below to purchase these charts from my TpT store. Each chart has a self-check sheet and a blank chart. In case you missed it before, here's the heart I made for Valentine's Day. What a cute idea! Thanks for sharing! Not sure which one I will try, but it will be fun! I love them! 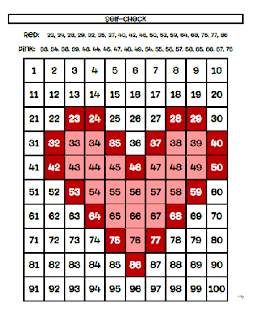 The heart one I used on our 100h day Friday and 22 should be 42. I love these!!! Thanks for sharing. I'm so glad you noticed! Thank you for letting me know, too! I fixed it if you want to download it again. :) Thank you!!! Marlana I just love these! I imagine I will have to do one whole group first so they get the hang of it. Do you then put them in a math workstation? And do you have any more! 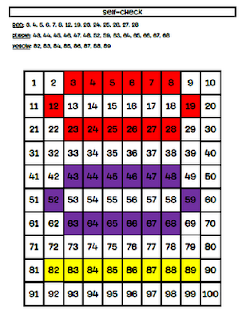 I love love love these - what a great way to help review those large numbers. I remember seeing one somewhere of the number 100. I will have to search that one out! Thanks again! Thank you, Diane! I just made them last night and today so I haven't used anything other than another one we did earlier in the year. I definitely had to model at that time. :) I'm thinking about adding some cards with each page that shows the color with the numbers on it so it might be a little less difficult for the kiddos who aren't ready for such big numbers. I will try to add some more if I can make a few that will go along with our themes. Let me know if there is something you would like. OMG Marlana I love the idea of the cards. There are so many smart teachers out there. I love the blogging world! These are great! Pinning right now!! Thanks for sharing! 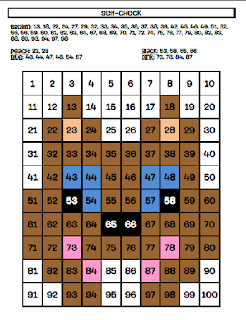 I just shared your Groundhog Hundreds Chart in my Friday blog post! You can check it out here Friday's High Five Groundhog's Day. Thank you for the freebies! Too cute! Thanks so much for sharing! I love these!!! Did you figure them out or get them from somewhere. I've tried to find some with no luck. I have a whole folder of these at school...I had forgotten about them. I haven't used them in a couple of years! Oh these are so awesome! The students are going to love these! Thanks for sharing! These are really cute! I love them and can't wait to print and use with my students. Thank you for sharing! THANK YOU!!!! I absolutely love these!!! I am so excited to share them with my kiddos!! These are sooooo cute! Thank you for sharing these fun activities! Seriously so awesome!! :) Thank you! Yay! Didn't get a chance to check these out last night, but I'm ready to print and use them!! Very cute! Can't wait to try these with my class! :) Thanks for sharing. I love these thank you so much! My class actually screams with excitement when we do these type of activities! Thank you so much for the freebies! I love these pictures. They will be great to practice number identification and color words with my Kindergarten students. Thanks for sharing! Thanks so much. I have used these over the years in my first grade classroom, but had to read the numbers. I like having each child complete their own. As another person stated, a great reinforcement of the numbers! These are wonderful and creative. I hope to use the groundhog one this week for math. Wish me luck. Thank you for these wonderful resources. My class really enjoyed the cat in the hat on 100th day. I did notice that 27 is not listed on the cat to be colored. I liked that it was missing, it helped me to figure out which of my kiddos was actually paying attention to the numbers and not the pattern. Thanks again! I really wanted to use the cat in the hat but I can't find it anywhere on your webpage. Could you please email me a copy at df78@nau.edu? Thanks! Thank you so much for sharing - can't wait to use them! These are great! Thanks so much for sharing these. What a fun way to practice number recognition! Too much fun! Thanks for sharing your creativity. Thanks so much to everyone for your sweet comments and for helping me out with any corrections that need to be made. I'm happy to share! I hope that these are useful to your kiddos. I did the groundhog with all of my kiddos today. They LOVED it! Thanks so much for sharing these. I can't wait to do some more of them. It's just in time for Valentine's Day! Thank you for sharing these wonderful ideas!!! 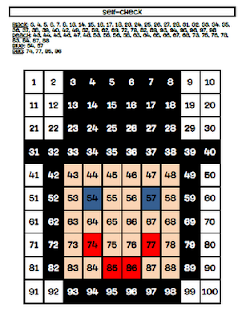 I teach 5th grade, and my students love these puzzles as well. To make it a bit more challenging for them, I make math problems for them to solve with the numbers you provided above as the answers. Thanks again!!! Great way to adapt them to fit the appropriateness for your grade level! Let me know if you have any suggestions for other pictures for the charts. These are awesome! I just downloaded ALL of them. Thank you so much! My K/1's will love them! This is great for my math groups! We are beginning a "numbers beyond 20" chapter next week. Thank you. What a great find! Just moved down to 2nd grade this year and I think these will be some fun activities (cat, leprechaun, bunny) to do with my students in the next few weeks! Thanks a million! These are awesome!! Thank you for sharing! I'm back to say thank you again. I plan to use the 100th day and cat charts this week. Hope you will offer more. You are so welcome! How sweet! Let me know what you'd like to see I'm working on the suggestions I've received for apple, Columbus, penguin, Christmas and bat. :) These are so much fun to make! I use hundred chart pictures in my Kindergarten class as well. 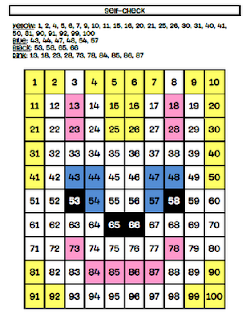 We start out by calling the numbers and having the students find them. Then we turn it into a center activity called "Mystery Picture". 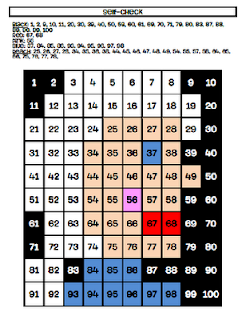 The students search for 2" inch squares of colored construction paper with the numbers on them and color the hundred chart accordingly to figure out the mystery picture. Sometimes the whole class is working and we play the Mission Impossible theme song in the background. The kids love it! Thanks for The Cat in the Hat. I now have my math activitiy for Friday. Great ideas! I love that you play the Mission Impossible theme song. How fun?! There is a mistake on the dr seuss one. YOu forgot to list 27 on the list to color. Love this idea! I have made a bunny, but never thought about Cat in the Hat! Thank you so much for sharing!!! You are wonderful for sharing these awesome hundreds chart pictures. My students loved the Cat in the Hat. I can't wait to do the leprechaun and Easter Bunny. These are GREAT!!!! Thank you very much for sharing. I'm always looking for fun and educational activities for my students when they finish their work and these are PERFECT. Your generosity is appreciated. WOW! I downloaded all of these. Thank you!!! Thank you so much for these adorable 100s charts~! I love them and thank you for your generosity!!! Click on the picture and it will take you to Google Docs. You can download the pictures from there to print. I hope this helps! Thank you for all this work! Can't wait to use these! These look amazing! Thank you so much for sharing. You've inspired me to try to make a dog one, unless you want to make it. Thanks for sharing! I have done "Mystery Pictures" in the past with my first graders, but ran out of ideas for what the picture could be! To make it more challenging, instead of listing the numbers, I write the numbers with tens and ones (instead of 54, it's 5 tens and 4 ones). Maybe that would work for high-flying Kindergartens as well? Thanks again! My kids love these! Thanks so much for making them. And how frustrating it must be that someone stole them from you! I'm glad you found out at least, but it really irritates me that someone decided to profit off of your hard work! Grr! That's awful that someone stole them! Any chance you could put them all together in a bundle pack? Make it easier to buy them all at the same time! So sad to here that these are no longer free :( I used these with my son when he was in kindergarten and was looking forward to using them with my little girl. I homeschool, so sad that someone would sell them, is there a bundle for them? Hi. Is there a way to purchase the Dr. Seuss hundreds chart? 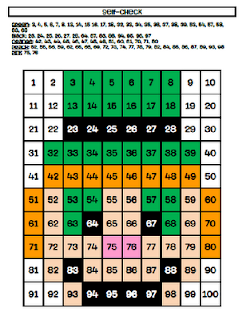 Now that we are into the common core, I am looking for mystery pictures on a 120 chart. Have you considered updating any of your files? I could not find the Cat in the Hat one. :( It was very cute and I wanted to use it.